The pizza! Yes, yes! You guys want in on this one, huh? No problem-o. I was going to start responding to all of your comments but then noticed just how many of you were asking for it, so I’ve got ya covered. Combine flours and years in large bowl. In a large measuring cup, combine water, honey, olive oil, and salt. Pour water mixture into flour mixture and stir together until a soft dough. Add a little more water or flour, if necessary (I had to add extra flour to make it less sticky and be able to work with). Turn dough out onto floured surface and knead for 5 minutes (I used my Kitchenaid mixer with the bread attachment in place of the extra kneading). Place in large, oiled bowl and turn to coat. Cover with plastic wrap and keep in refrigerator or let rise at room temperature for 1 to 1-1/2 hours or until doubled in size. Roll out dough. Brush with olive oil and extra garlic (powder or minced…or both). Sprinkle with a little parsley and oregano. Enjoy! I *will* say that the crust could have used a little extra flavor, so I’m going to play around with the seasoning a bit. But it definitely rose great and rolled out beautifully. It was super easy to work with and nice and thick; I’m sure we could have rolled it out much thinner to make two smaller doughs if we wanted. Feel free to play around with it and find a combo of spices/flavors that works for you! This looks amazing, Courtney! I always love homemade dough and this looks super easy. Thank you for sharing! ON MY WEEKEND MEALS-TO-MAKE AGENDA! Wow! 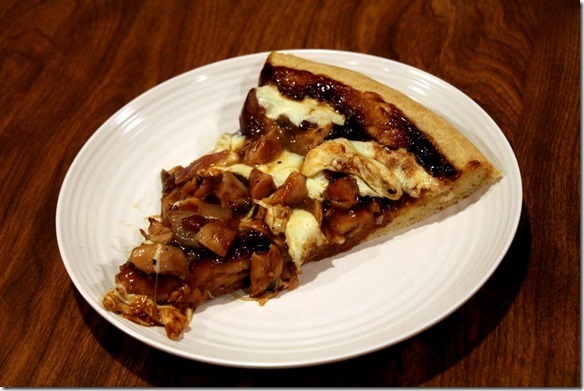 Looks super delicious, especially with the caramelized onions! SOunds amazing. love anything bbq & buffalo! : ) thanks for sharing! Well, now I'm craving homemade pizza! This sounds delicious! 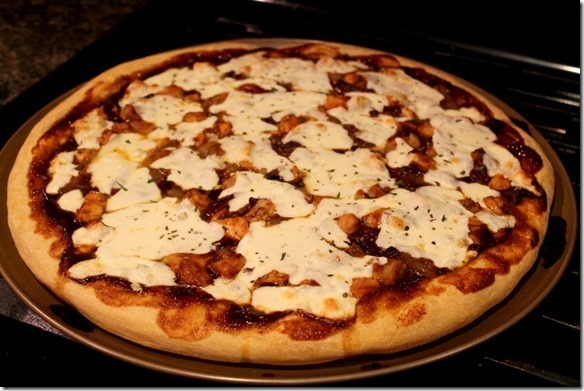 My husband and I have a Pizza-Friday tradition and our dough recipe is very similar to yours, it's so easy and tastes so much better than the store bought one! Depending on the type of pizza we're making I'll add Italian seasoning, extra salt, pepper, fresh garlic or garlic powder to the dough, sooo good!! I'll definitely have to try this recipe soon! The Cuban sandwich with the kale and plantain salad looks interesting. I would love to try something different like that! Thanks for sharing the recipe! If the crust needs a little extra flavor, maybe drizzle honey on it afterwards? Looking forward to trying it.